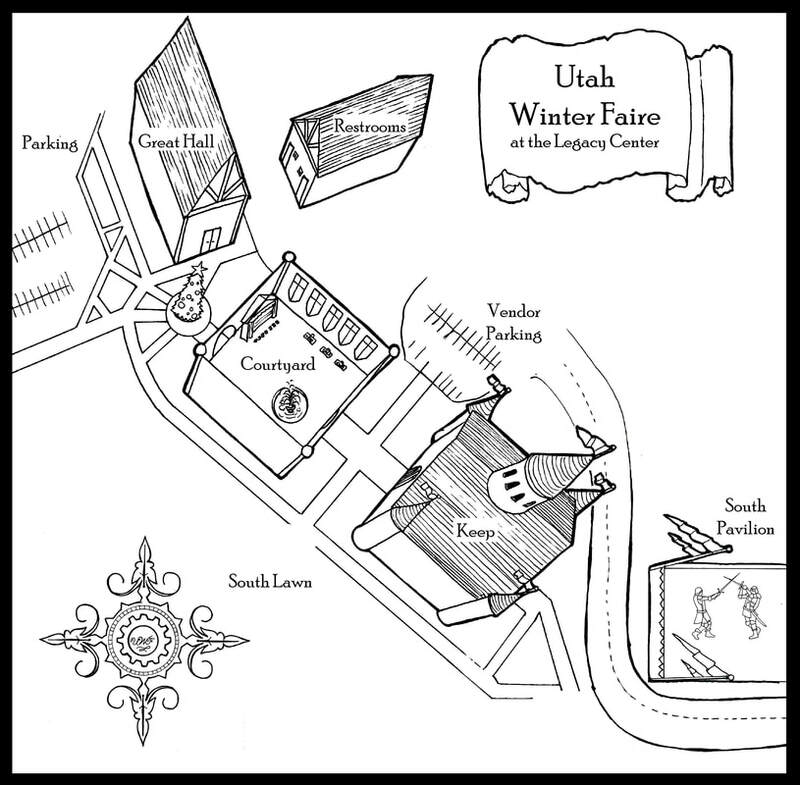 Stylized Event Map showing all buildings. The Courtyard does have a roof, we promise! Overview of the Legacy Events Center. The blue buildings that are circled is our venue. Faire parking is free, use the south end of Lot A. 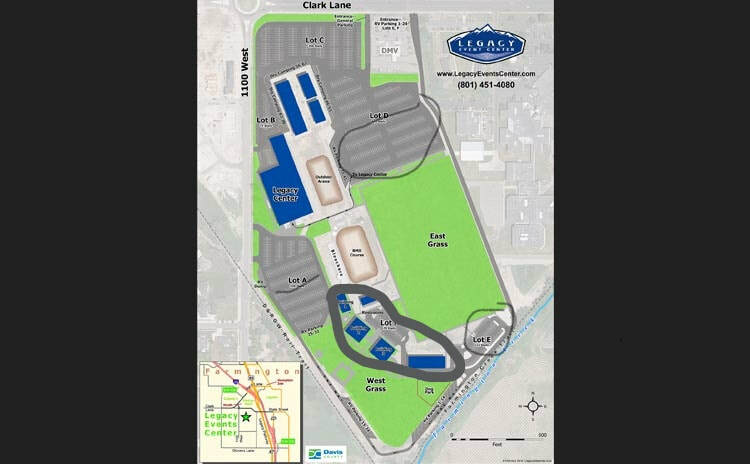 Other areas are Lot E and lots C & D. Feel free to drop off passengers at the gate if you need to.